An arm reduction or arm lift is the only effective solution to the dreaded bingo wings. Gravity, loss of muscle tone and any excess weight all affect this area and this is a tricky area to tone up with exercise and diet alone. 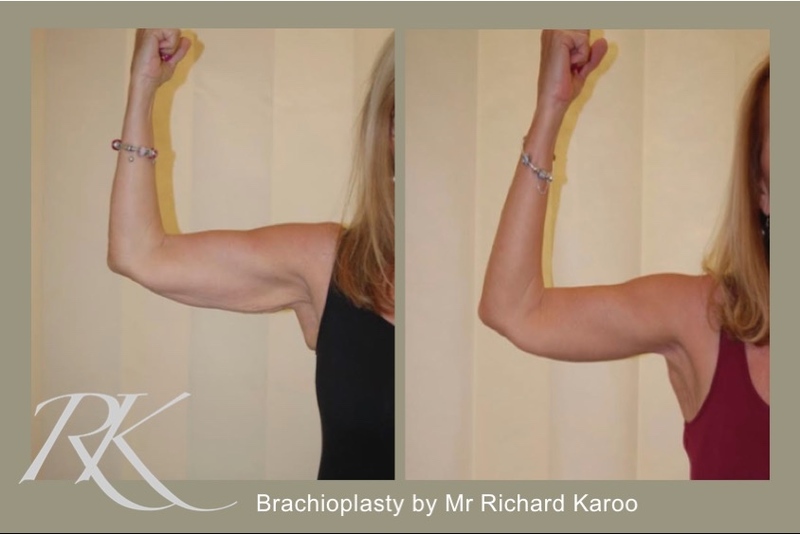 For women in Cardiff seeking this treatment, Mr Richard Karoo offers this surgical procedure which removes excess skin and fat to produce a much more attractive and tighter upper arm area.